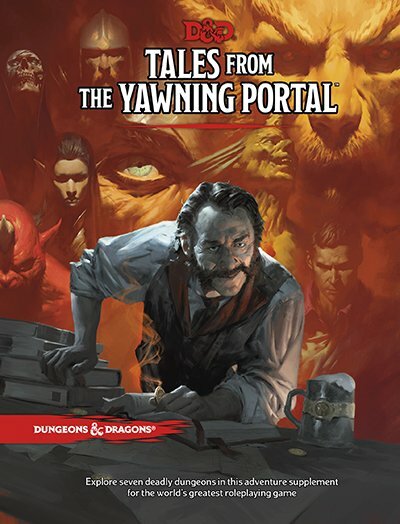 By now anyone that reads this blog would have read it elsewhere about the new adventure from Wizards of the Coast, Tales from the Yawning Portal. Gotta admit I really don't care for the name, but the book itself intrigues me. Sound familiar? Yeah, all stuff I have run and converted to 5e myself. Where was this two years ago! That all being said, it looks like it could be a lot of fun and certainly something I will pick up. There are some conversion on the DMs Guild now, but not for all these yet. 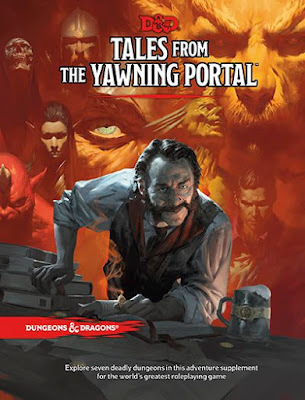 Plus it will be interesting to see what 5e designers actually have to say about these adventures. In other reboot news that might only be exciting for me, it looks like the CW is ordering a reboot of the series Charmed. The new series will have three new witches and take place in New England set in 1976. For me, this sounds great. New England, 1976, Charmed...it's like someone was reading my Christmas list. I have always been a huge fan of Charmed and always thought it would make for a fun RPG property. Maybe this will reignite some interest in that. In both cases, adventures and television, I'll have to wait.